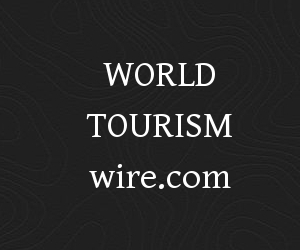 The outspoken candidate for the next UN World Tourism Organization (UNWTO) Secretary General, Doctor Walter Mzembi, the Minister of Tourism and Hospitality for Zimbabwe, today issued a statement for World Tourism Day. Celebrations for World Tourism Day are held around the world, with Bangkok as this year’s official location. I issue this solidarity statement from Bangkok, Thailand, where we are gathered to celebrate World Tourism Day, 2016, under the theme: “Tourism for All – Promoting Universal Accessibility.” The entire government of Thailand has been mobilized around this event led by the Prime Minister, HE General Prayut Chan-o-cha, who shall deliver the keynote address. The program also captures the involvement and various acts by the Deputy Prime Minister, our host Minister of Tourism herself, HE Mrs. Kobkarn Wattanavrangkul, and a technical visit to Khon Kaen Province, where we shall be treated to a very rich itinerary including the “performance of wheelchair men,” in line with the global theme. What is very clear, as was the case with our hosting of the 20th session UNWTO General Assembly in August 2013, is that this is a national event taken very seriously by the entire nation and an absolute opportunity to leverage this global endorsement to bring to the fore, the country’s best foot, and its brand pay off line, “The Land of Smiles.” Hopefully, while not forgotten, this should put behind them the horrid memories of multiple assaults on the sector ‘s tourist hotspots of Hua Hin, Surat Thani, and Patong on August 12 of this year. In my condolences to the Tourism Minister, I did promise that in solidarity with the people of Thailand and the incessant attack on the sector, I was going to join the Secretary General, Dr. Taleb Rifai, and other dignitaries who include the World Travel and Tourism Council President and CEO, David Scowsill; Mario Hardy, PATA CEO, and other colleagues and ministers invited to the celebrations. Notwithstanding the clear intentions to scare us away from this beautiful country, we are out here to reinforce the message that no amount of terror will halt the sheer force and energy of human civilization unleashed by this great revolution of our contemporary times – travel. We are here to consolidate the gains of travel, which only 65 years ago had 25 million travelers, and has since closed 2015 with 1.2 billion tourists! Today, the sector employs 288 million people, and accounts for 6% of the world’s exports at $1.5 trillion, translating to a cumulative impact of earnings of $8 trillion – 10% of the Global GDP. The sector, in line with SDGs 8, 12, and 14, shall record a minimum of 1.8 billion by 2030, which projections are now being tested and certainly need to be revised if one takes into consideration news from China that it will authorize an unbelievable 600 million outbound Chinese tourists by year 2020, from the current 128 million! So, the best way to help conflict stricken destinations, terror targets, and now as we redefine insecurity to include natural disasters, is to visit and continue visiting those destinations. Suspend all protocols, and disregard inordinate travel advisories that seek to multiply misfortune and suffering on unfortunate destinations by endorsing them through sustained visits. The 1.2 billion tourists are potential peace ambassadors and opportunities for the world’s terror-stricken targets and the poor. Typically, the subject of accessible tourism is key in our contemporary times. It is not only about providing tourism services to people with disabilities, but innovatively creating universally-designed, barrier-free environments that support people who may have temporary and permanent physical challenges, young children, the ever increasing elderly population, as well as creating safer environments for employees who work in the sector. Applying inclusion principles, in my view, demands that the facilities and products which we have established or are currently under establishment, become accessible by all. This way, it helps destinations to expand their horizons in terms of inclusivity, competitiveness, and ideally lead to greater customer satisfaction, loyalty, and expansion of the business. At the strategic and operational level, accessible tourism implies that the tourism industry needs to redesign itself to develop flexible, multi-use accessible spaces and enhance its productivity and operational management, all of which should directly assist humanity to enjoy tourism products with no hindrance, exclusion, or impediment to access. Our varied geographical, cultural, and social disparities should not be excuses to perpetuate exclusion of others. It is imperative as we celebrate the international World Tourism Day today, to once again renew our covenant, in which with one accord we proclaim tourism as a product for all. This cannot happen without support from all of us and indeed, stakeholder collaboration to provide easily-accessible tourism products becomes a game changer. I call upon designing and re-designing of both new and old infrastructures to enable people with unique access requirements, including mobility, vision, hearing, and cognitive dimensions dignified equity, sharing, and access. My clarion call is that accessible tourism is everyone’s responsibility. It is indeed a collaborative process that requires full understanding of heterogeneity of access requirements informed by different types of embodiments, where the creation of an enabling environment is understood through universal design that answers to the physical and intuitive needs of different people. Therefore, it is super critical that tourism operators in Zimbabwe, Africa, and globally, understand the visitors’ experiences on enabling or disenabling tourism environments so that those experiences help all of us to put in place needs-based infrastructure and super structures. I mention this on the back of the ever-growing need to adapt tourism products to be more user-friendly to our traveling publics, who in some cases encounter accessibility difficulties in the travel process resulting in dissatisfaction. Yet, when there is an enabling tourism environment, visitors’ experiences become memorable, joyous, dignified, and equitable. It is this missing link that we should look at and address as a new growth opportunity in our destinations. Clearly, simple design solutions can make a huge difference and open our destinations to accessibility required by markets as well as improving operational efficiency of the tourism business. There is a realization that building of hotels, restaurants, theatres, public spaces, public transport, streets, and squares often are insufficiently inaccessible to people enabled differently. Many inconveniences occur when some of our people want to use facilities. Thus, this calls for the application of minimum standards to cater for the physically challenged so that tourism value chains are not seen as discriminatory. “Tourism for all – Promoting universal accessibility” is a call for global commitment to reposition the tourism industry less through talk shows, but more through instituting practical solutions to “quick-fix” action to close the gaps which make tourism products inaccessible. It is refreshing that the UNWTO is celebrating this day in 2016 on the back of 2017, the “International Year of Sustainable Tourism for Development.” This is a befitting theme, and part of our discussions and outcomes will significantly shape the destiny of delivering sustainable and inclusive tourism product value chains, and repositioning of global tourism for all. As usual, because of our unique economic circumstances, there is always an attempt to domesticate international themes to answer our own challenges, and one such debate has been how pricing of tourism and hospitality services, especially in the wake of a bullish United States dollar, our anchor currency has denied the majority of our people access to these assets. It is a very valid argument for another day, and aligns itself to an international argument on the behavior of currencies actually now impacting the performance of the sector globally.